Built in 1843 out of clay lump with a brick facing. 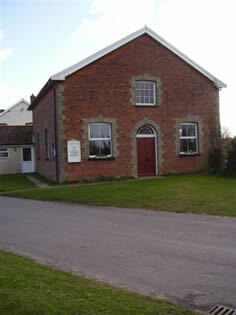 There is a school room attached with a conventional style service. We have recently introduced a quiet play area for young children to use if they wish during the services. Ladies Fellowship on 2nd and 4th Tuesday Each Month. Coffee mornings monthly First Tuesday.